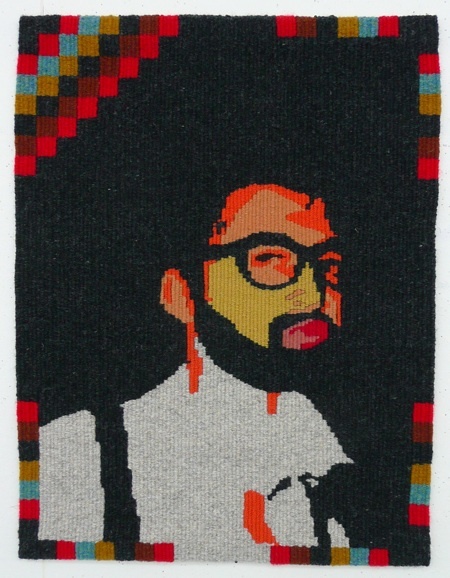 The American Tapestry Alliance is pleased to announce that Daniel C. Edwards from Australia has been awarded the ATA Student Award for 2009. 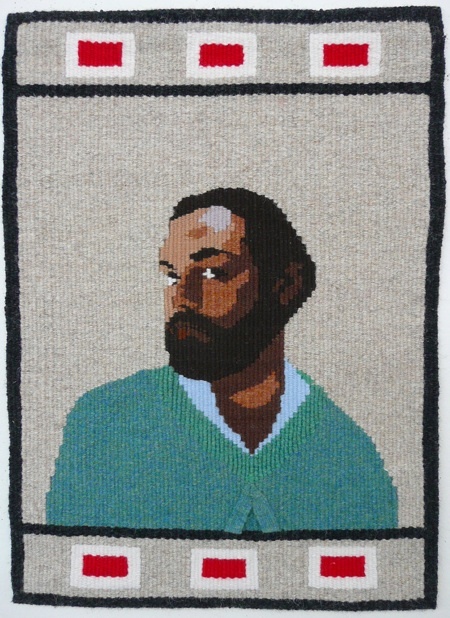 Daniel was introduced to tapestry in his first year of undergraduate studies at the ANU School of Art. 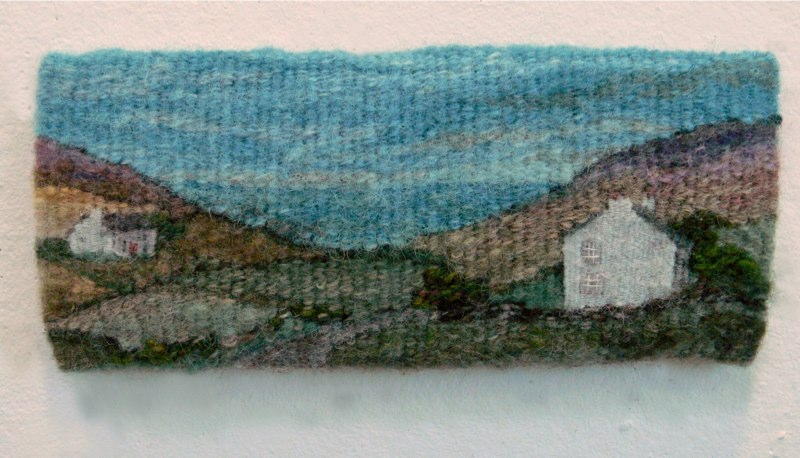 Since that time he has enjoyed experimenting with different fibres, exploring different techniques and styles. He enjoys the versatility tapestry has to offer. Now currently in his Honours year he is looking forward to continuing his exploration with tapestry, developing his knowledge and skills in the field. 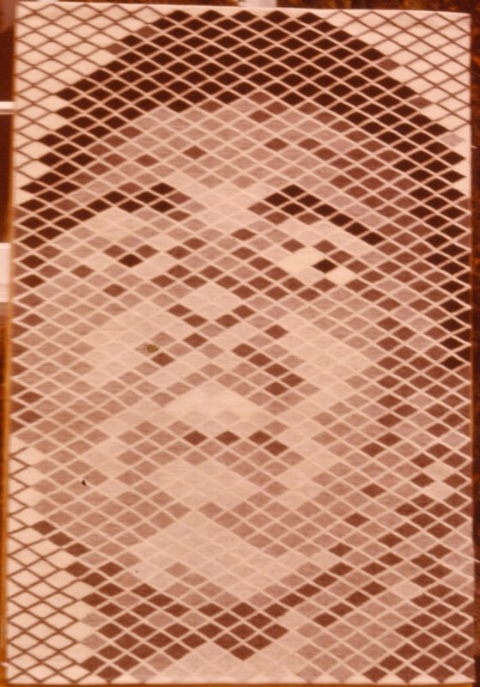 Daniel submitted three tapestries for the panel of ATA board members to view. He says his work interprets the craft movement of the 1970’s imagining the period of its vindication, celebrating the number of men working across all craft areas. He has been collecting visual materials that research the history of the “bearded man”, comparing the aesthetics of sporting facial hair today with its vogue during the craft decades. 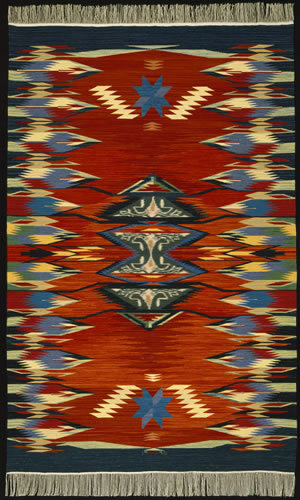 In this body of work using rough rug yarn which has a masculine feel and appearance, he was inspired to weave in an aesthetic Navajo manner which aided his concept. He did not reference a culture but used a form of weaving where the structure is obvious and the image is made directly through the weaving. These processes of combining geometric patterns with images of men, the abstracted portraits are developed as iconic images or trademarks of the “maker” and what the bearded craftsman symbolises. Daniel says that this project has re-affirmed the importance of male craft practitioners, confirming his own identity and practice. 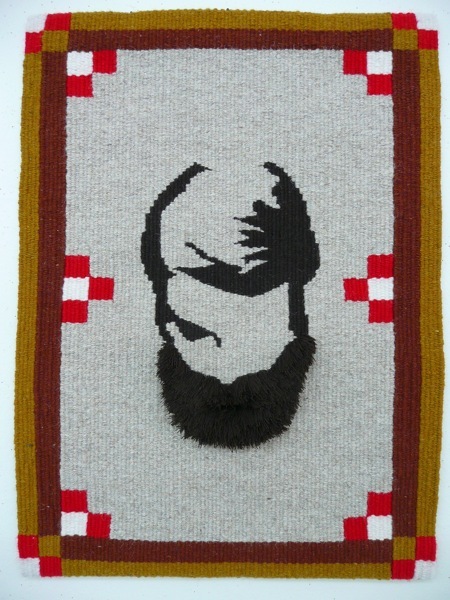 Acquiring new skills in fibre and textiles, and knowledge of the history of the craftsman, he feels he is equipped to move forward questioning the place of his practice and the implications of being an emerging “bearded” crafts practitioner. The American Tapestry Alliance annually gives this award to a student enrolled in a recognized university or art school. 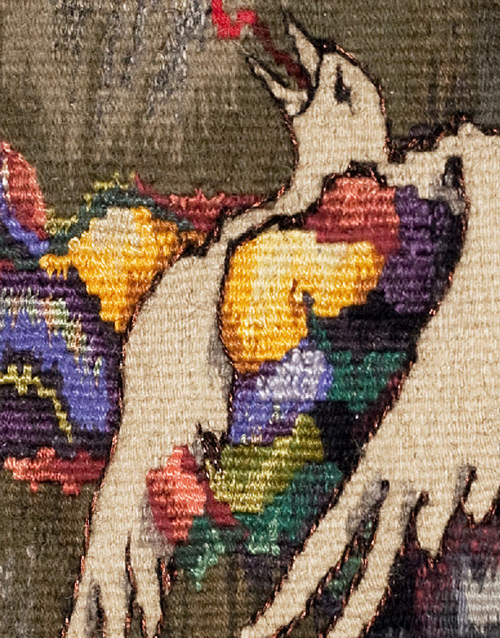 The award consists of $250 and recognition in the ATA quarterly newsletter, Tapestry Topics.